About the Book: In A RULE OF QUEENS, Gwendolyn leads the remains of her nation in exile, as they sail into the hostile harbors of the Empire. Taken in by Sandara’s people, they try to recover in hiding, to build a new home in the shadows of Volusia. Thor, determined to rescue Guwayne, continues with his Legion brothers on his quest far across the sea, to the massive caves that herald the Land of the Spirits, encountering unthinkable monsters and exotic landscapes. In the Southern Isles, Alistair sacrifices herself for Erec—and yet an unexpected twist might just save them both. Darius risks it all to save the love of his life, Loti, even if he must face the Empire alone. But his conflict with the Empire, he will find, is just beginning. And Volusia continues her rise, after her assassination of Romulus, to consolidate her hold on the Empire and become the ruthless queen she was meant to be. Will Gwen and her people survive? Will Guwayne be found? Will Alistair and Erec live? Will Darius rescue Loti? Will Thorgrin and his brothers survive? 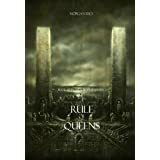 With its sophisticated world-building and characterization, A RULE OF QUEENS is an epic tale of friends and lovers, of rivals and suitors, of knights and dragons, of intrigues and political machinations, of coming of age, of broken hearts, of deception, ambition and betrayal. It is a tale of honor and courage, of fate and destiny, of sorcery. It is a fantasy that brings us into a world we will never forget, and which will appeal to all ages and genders. About the Author: Morgan Rice is the #1 bestselling and USA Today bestselling author of the epic fantasy series THE SORCERER'S RING, comprising 17 books; of the #1 bestselling series THE VAMPIRE JOURNALS, comprising 11 books (and counting); of the #1 bestselling series THE SURVIVAL TRILOGY, a post-apocalyptic thriller comprising two books (and counting); and of the new epic fantasy series KINGS AND SORCERERS, comprising 4 books (and counting). Morgan's books are available in audio and print editions, and translations are available in over 25 languages. Book #4 in Morgan's new epic fantasy series, A FORGE OF VALOR (KINGS AND SORCERERS--BOOK 4) is now published! TURNED (Book #1 in the Vampire Journals), ARENA ONE (Book #1 of the Survival Trilogy), and A QUEST OF HEROES (Book #1 in the Sorcerer's Ring) are each available as a free download on Amazon. Morgan loves to hear from you, so please feel free to visit www.morganricebooks.com to join the email list, receive a free book, receive free giveaways, download the free app, get the latest exclusive news, connect on Facebook and Twitter, and stay in touch! As always, if any of you are suffering from any hardship, email the author at morgan@morganricebooks.com and the author will be happy to send you a free book! My Review: In this episode Morgan continues this incredible saga. Gwendolyn reaches the outskirts of Volusia, already in the Empire lands. They need to hide and plan on next actions to take. 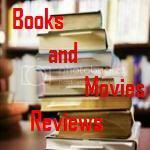 Thor continues the search for his son, this time at the Land of the Spirits, while Erec and Alistair have to fight to survive the civil war in the Southern Isles. We found that our new hero that was introduced on last episode, Darius, is the brother of Sandara. He continues his struggle to convince his people to battle the Empire. And he keeps protecting the love of his life, Loti. The other new character, Volusia, continues her insatiable rise to power. Packed with action, this book will keep you entertained for hours. And there is not an idle moment until you turn the last page! Get ready for another very entertaining episode of this incredible story. You will not get tired of following Thor, Gwendolyn and all our heroes in this new episode. Just be aware that in order to savor every moment of this episode, I recommend that you start reading from the first episode to better understand the dynamics among the characters, as well as have a full idea on the environment of the story.